Fill out our simple form and get quotes from local Deck Chair suppliers. Hiring deck chairs is a great way to bring a quirky touch of seaside charm to your event, not to mention a comfortable seating choice for your lucky guests. Regardless of whether or not you’re actually anywhere near the coast, deck chairs are a distinctive seating option and can be hired in a variety of colours to match your theme. Popular for events like open air cinemas or a private parties with beach party theme, deck chairs are also a good choice for summer weddings, family fun days, funfair themed events and even corporate events. Some deck chair hire suppliers will also be able to offer you different types of deck chairs in addition to the traditional variety, such as giant deckchairs which are able to seat several people at once and make for great photo opportunities. To find out more and hear from the best local deck chair suppliers, simply complete a request form now. It’s a rare thing when we get a good spell of sunshine, so get ready to make the most of it with a comfortable deck chair or two! Deck chairs have been a regular sight on the beach promenades of English seaside towns since Victorian times. Nowadays, deck chairs are also a regular sight at events all over the country, primarily because they are a great choice of seating for any event where your guests are going to end up with tired feet. Brightly coloured, striped deck chairs add a certain nostalgic charm to your event and they are available to hire in any quantity, from a handful to hundreds, depending on your event. 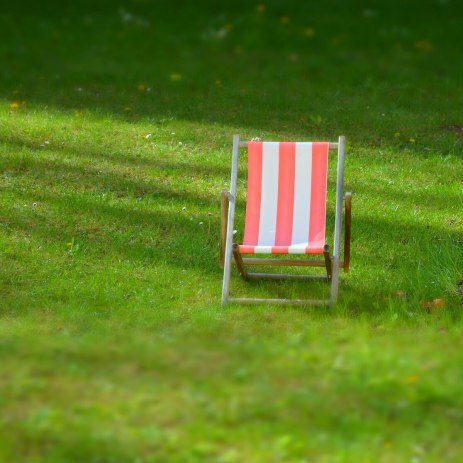 Most deck chair suppliers will provide a range of design options, from the traditional stripes to block colours, so you’re sure to find a style that matches your theme. To learn more about deck chair hire and to hear from the best local suppliers, simply complete a request form.